Influenced by many inspiring yoga teachers, many peers, my aim is to authentically share the transformative potential of yoga to my students through relatable approach of teaching. The basis of my teaching philosophy is that every body can benefit from the yoga and awareness practices. I teach in a way that provides full spectrum practice. From setting intention, meditation, pranayama, and internal awareness, I hold a heart-centered, safe space for my students to embody their own personal experiences on the mat. I know I’ve always been a yogi since I was little, I just didn’t know what to call it. I’ve always been reflective and have an intuitive nature. Over 3,500 hours of studies in different modalities along with reading, trainings, over the past 14 years, there’s definitely a lot to learn in this lifetime! I received my yoga teacher training certificate from Anchorage Yoga. My affinity for self-reflection, universal truth has led me to self-study various forms of mindfulness practices over many years. With young family, and “busy” professional career in Finance and Business administration I struggled to find time for the physical practice in the midst of overwhelm. But as I step foot on the mat again and again, I know that there’s something about yoga and mindfulness practice that made me meet myself where I am. Heidi has been practicing for 10 years. 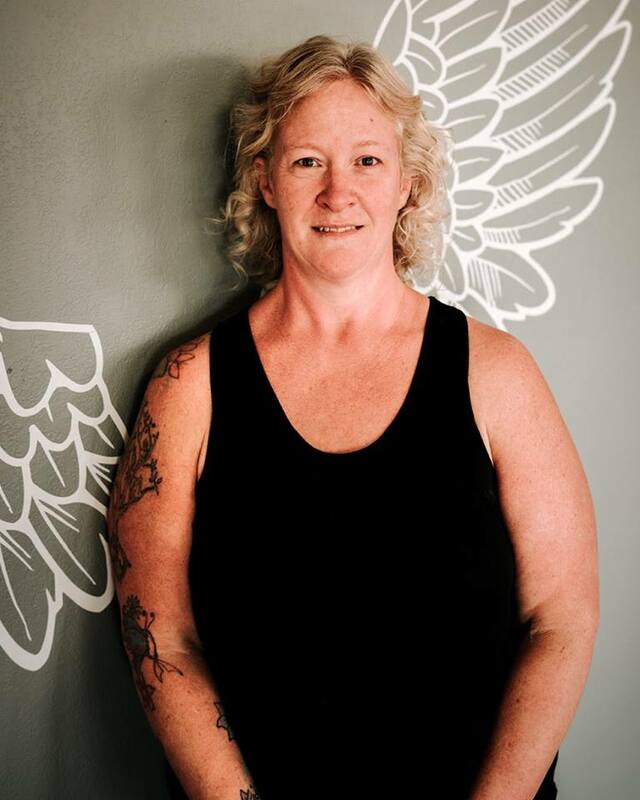 She owned her own successful studio in Pennsylvania and has been in Alaska for 5 years and has been teaching at Yoga Om since the doors open. Her focus is vinyasa, relaxation, and mindfulness. She also works as a massage therapist. She believes it is a privilege to work as a massage therapist and to teach Yoga as a full time career. 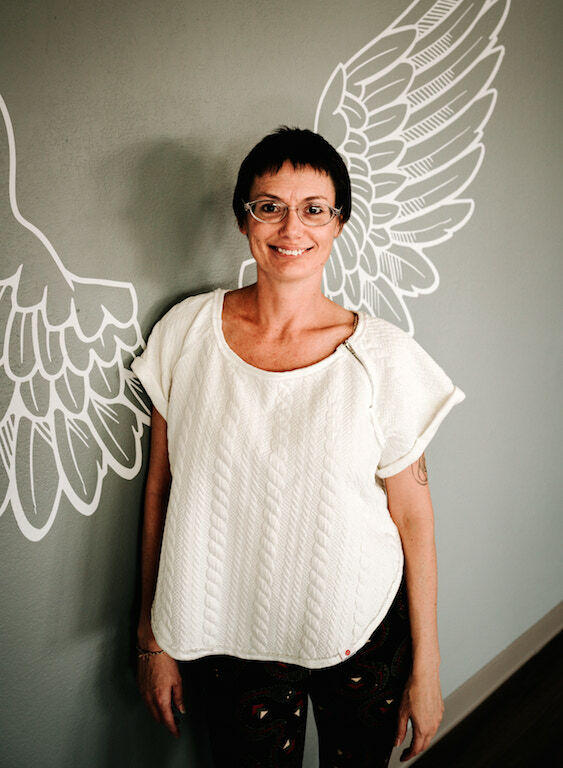 Heidi’s teaching style merges strength and flexibility with moving meditation. This style of mindful practice pulls her students into the present moment and encourages them to be in their bodies now. Her intentions and themes in her classes will aid you in your yogic lifestyle and path. Heidi’s teachings allow her students to sink deeper into their asana poses with long holds while remaining open and present to the energy of the subtle body. Her energy center creates a healing and supportive space that is key to a deeply connected studio practice. Heidi comes from an Anusara background and have trained with many amazing teachers. 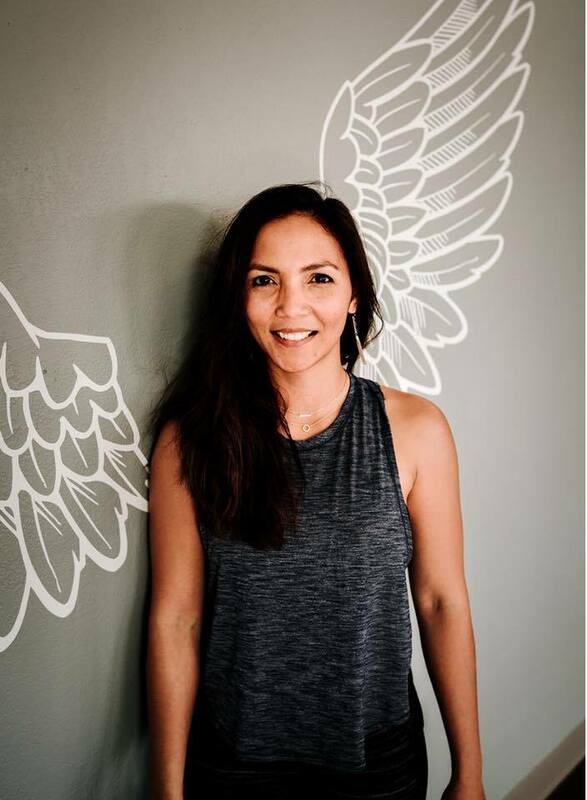 She received her 200 hour training from Shri yoga studio in PA. Heidi also mentored with her teacher there, she also trained with Seane Corn, and Desiree Rumbaugh and Desi Springer. Heidi has a passion for teaching an open heart class. Leisha moved from New Orleans, Lousiana in 2011. In 2013 she attended the International Sivananda Yoga Centre and graduated their Advanced Teacher Training Course. After completing her 200 hours Yoga Teacher Training, she was awarded with great honor the title Yoga Siromani. She began teaching Hatha Yoga to children at the Dome in Anchorage & Cosmic Kids Yoga in the public school system. Having 6 kids of her own she has always known her deepest passion is teaching children. In 2015 she found love of silks and was certified as an aerial yoga and fitness instructor in 2016. She loves to travel and learn. Always eager to come home and share her studies. She is also certified in kids yoga, prenatal yoga, senior citizen yoga, and sports yoga. My name is Jennifer Dawkins, I have spent the majority of my life growing up and living in Alaska and I absolutely love all the nature and beauty that surrounds us every day. I thrive on being an active person and love being a part of my community. 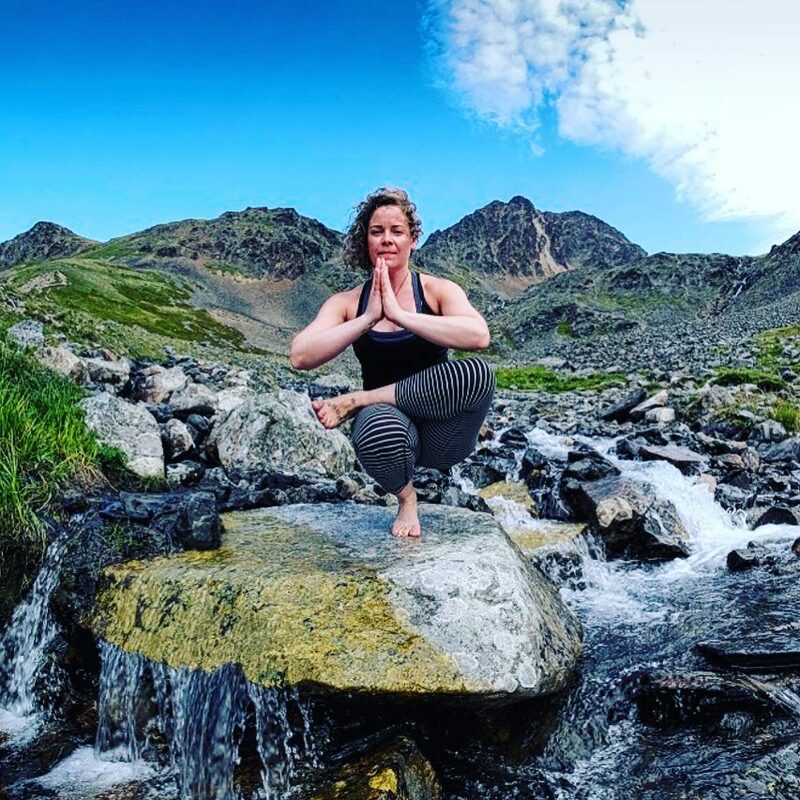 I’ve been a small business owner in Wasilla for almost 12 years and recently completed my 200 hour yoga teacher training in Palmer, Alaska and am now a certified yoga instructor teaching yoga. Not only do I enjoy hiking, biking, skiing, snowshoeing and more but I also enjoy painting and drawing, especially during the winter months. I am super excited to have the opportunity to share not only my love of yoga, but also this wonderful new opportunity of teaching aerial yoga. Molly has had a lifelong love of movement. She has an extensive background in performing arts and ballroom dance. She taught ballet for 10 years and 5 years of ballroom. Molly also studied Stott Pilates and taught Spinning and group fitness classes in the past. After becoming a mom to three boys, her health and fitness goals fell to the wayside as she put all of her energy into her family. Eventually, Molly felt like there was just something missing and set out to find herself again. This desire led her to Aerial Yoga and it was love at first flight! It has been the much-needed bridge from her past to her present. 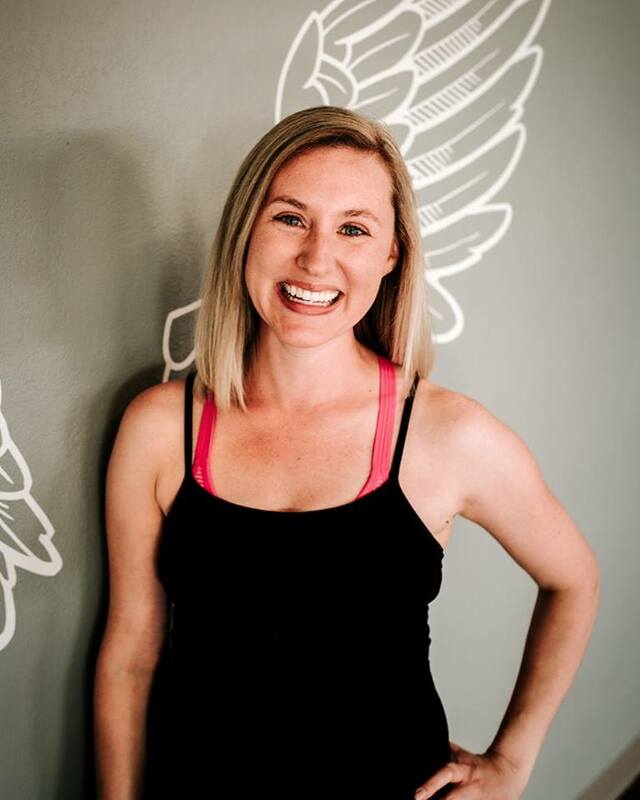 Molly has a passion to empower others to find the beauty and benefit of movement in their bodies, to take time for self-care, and to live healthy, mindful lives. Molly has recently completed teacher training for Aerial Yoga. 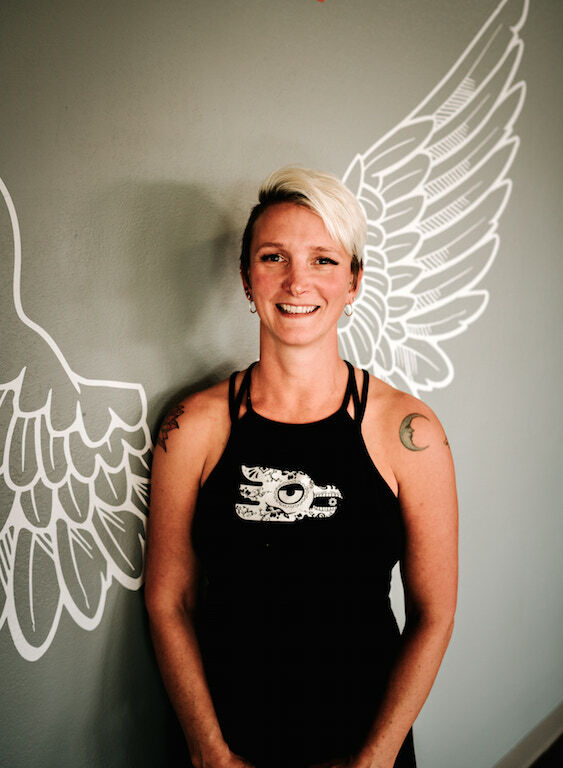 Sam is the creator of the Girdwood Yoga and Wellness Shack.